Promoting your business involves a lot of factors such as your budget, the materials to use, and the customers that you must reach. Although there are a lot of marketing tools that you could try out, you need to carefully choose which tools to use to maximize your spending and earn profits in return. This is why it’s best to go for the reasonably priced yet effective tools first like professional brochures. Brochures can be considered as one of the all-time favorite print products for marketing. These can easily explain the good points of your business without having to take up a lot of your customer’s time. Plus, you won’t have to spend a lot on your set since you can get a good deal for online brochure printing if you choose PixelEdge.co. * Create a theme for your project. 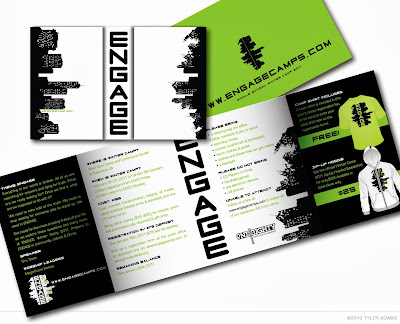 Come up with a good plan which would lay down the groundwork for your brochure design. If you are feeling confused on this part, you can brainstorm and check out some brochure samples online. These should help you create a concrete plan to help you start off with your project. * Draft an outline or structure of your brochure. This will help you decide on the size to use for your work. Include white spaces on the right areas to prevent your brochure from looking too crowded. * Know what font type and size to use. Experiment on the fonts and check which would fit your project to avoid making your brochure design look confusing or eye-straining. You may also ask for feedback from your friends or anyone who could help. After all, comments about your brochure’s design would help you improve it. * Add attention-grabbing images and headlines. The first impression of your potential clients is what would make you make or break that deal. Therefore, attract them in a good way and make them feel interested about what your full color brochure has to say. Add images and headlines that would make people grab your promotional tools to learn more. * Use the right paper stock. Although the printing part comes after creating the design, you must keep in mind the type of materials to be used. Your brochure’s look would still depend on where it would be made. Be sure to check out the stocks being offered by the printing company and see which would make your design more impressive and elegant. Go ahead and try out these five essential brochure design tips. You might be surprised on how easy and fun it is to make your project. Plus, you won’t have to pay a lot since custom brochures are incredibly affordable when printed from the ideal printing store like Pixel Edge Design Studio. We are always available at your service. Please feel free to contact us for any requirement.